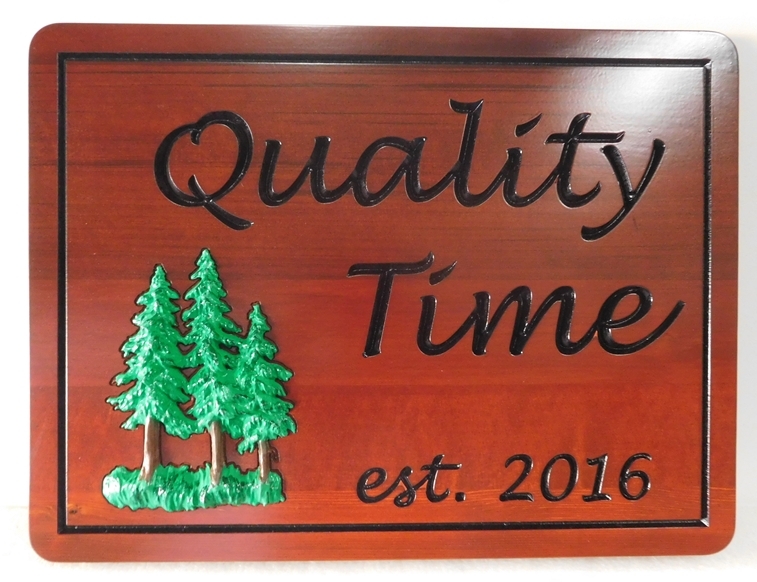 This rustic lightly stained Western Red Cedar cabin sign has been engraved (incised) to carve out the text. The tree is carved in 3-D bas-relief from HDU. The text is hand-painted black. After hand-painting, this outdoor sign is clear-coated twice as extra protection against UV radiation and rain and snow. The sign can be mounted on a wall, on a post or between two posts, or hung from a wood or iron hanger from the eye-hooks on the top.